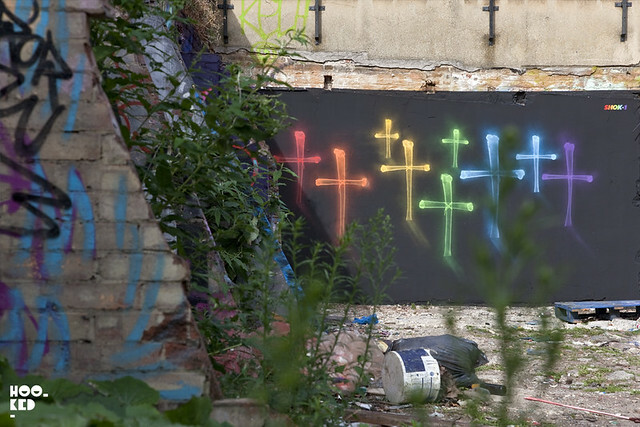 Monday evening saw London based graffiti artist Shok-1 complete the 10th and final mural in this X-Rainbow series on the wall pictured, located in a small car park just off Brick Lane in East London. 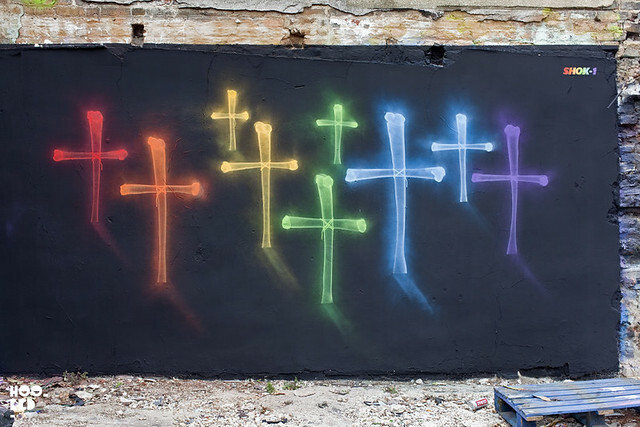 The artist has previous painted this space with this impressive X-Rainbow bones series which he began last year, some of which Hookedblog covered here, here and here. Unfortunately we missed a number of the previous murals in the series as they had been painted over by other artists or taken out with tags before we had the chance to photograph them! 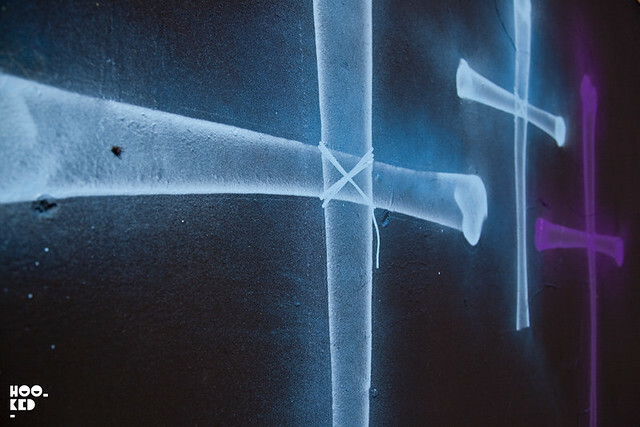 The 10th piece in the series sees the artist painting one last mural at this location and features nine cross-like neon bone shapes, one to mark the resting place of each of the previous works. 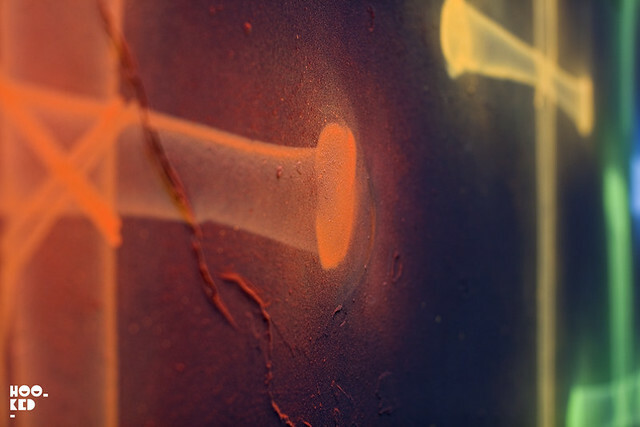 We have thoroughly enjoyed following, photographing and sharing this collection of work with you as the artist raised the bar with each new piece as the series progressed. 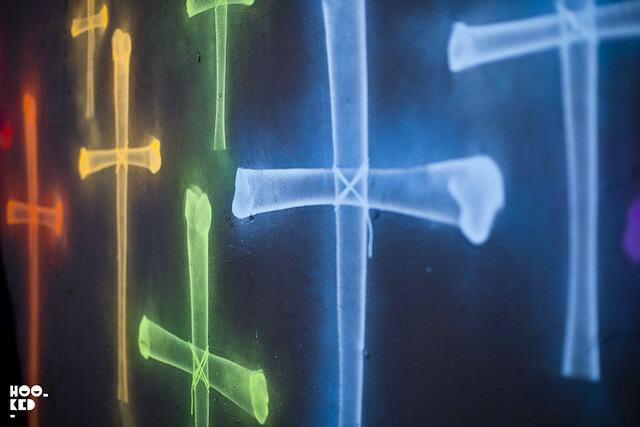 We can't wait to see where Shok-1 goes next with this innovative X-Rainbow style. Stay tuned!